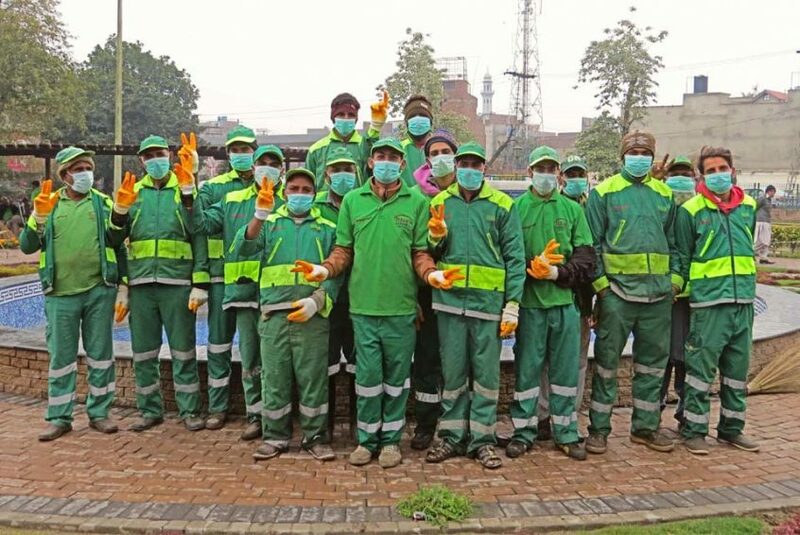 Lahore: Under the ongoing health & safety campaign for its workforce at UC level, Albayrak Waste Management arranged a counseling session in Tajpura which was attended by more than 100 sanitary workers. A camp was setup in a local park where Albayrak team listened to the work related problems of the field staff. The team assured that the workers’ problems would be addressed at the earliest possible with the coordination of the concerned departments. Following the counseling session, safety face masks & gloves were also distributed among the participants. Assistant Manager Albayrak Sadia Rafique delivered a lecture to the staff on correct field practices, health and safety measures and use of personal protective equipment in the field.